Diamond Fortress Technologies has known for years that its ONYX solution is by far the most widely-deployable and interoperable fingerprint technology currently available. With testing assistance from DFT's commercial partners and various government entities, this fact has now been proven beyond doubt. ONYX-generated fingerprints have been successfully matched against legacy fingerprints - generated by touch-based sensors and ink cards - on the existing national fingerprint databases of four different countries; and with very high levels of accuracy. This year ONYX has been successfully integrated into solutions for financial services that match against templates provided by the Registraduría Nacional del Estado Civil (RNEC) in Colombia by our partner Bytte, the National Database & Registration Authority (NADRA) in Pakistan by our partner Monet, and the Instituto Nacional Electoral (INE) database in Mexico by our partner DevFactor. We look forward to the commercial launches of these platforms by our partners during Q4 2016, which will prevent fraud and accelerate revenue for our bank and retail customers. Additionally, ONYX was successfully integrated with a first-world country's national database, which DFT is not able to disclose at this time due to confidentiality obligations. 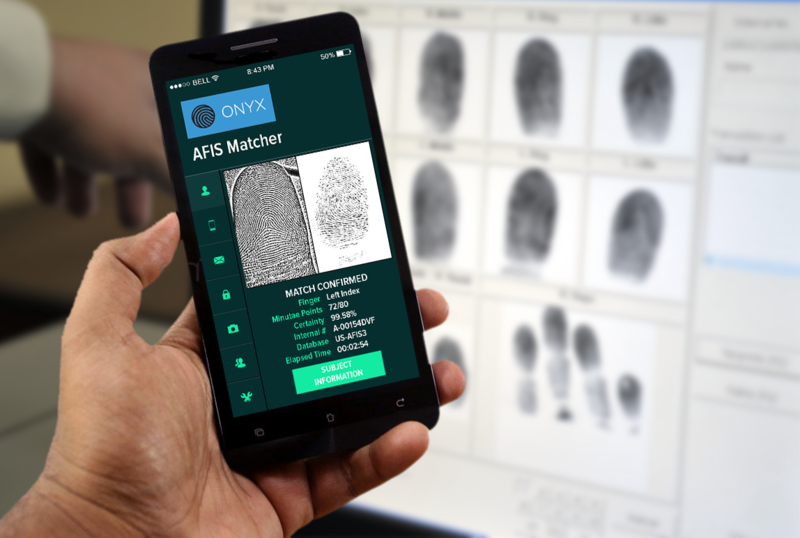 These AFIS-compatibility results were achieved on phones running both Android and iOS which range from low-cost mobile devices to flagship phones, proving ONYX is truly a breakthrough in the industry. ONYX eliminates the need for additional hardware and provides relying parties with a trusted solution at a far lower total cost of ownership than other biometric security systems.